Excellent preowned ladies Rolex Date (ref. 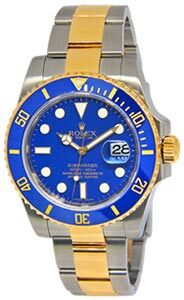 79240; A serial number ~2000) in stainless steel features a blue index dial. Machined bezel and Jubilee bracelet.